How do you celebrate the end of summer vacation? I remember growing up in Australia, and it seeming like summer vacation would go on forever. Of course being the land Down Under our summer vacation happened around Christmas. I am looking forward to seeing how all of the members of the #CreativeCookieExchange embrace this theme. I decided to use blackberries in my cookies since they are usually around here only during the summer break, so they seemed like a fitting end to summer vacation. Monte Carlos are a popular biscuit (cookie) from the Arnott's brand in Australia, and are named after Monte Carlo. As much as I enjoy eating them, I had never tried making them before. As you can see they are a sandwich cookie. Usually, they are more of an oval shape but mine ended up being quite round. And boy were these cookies a mouthful. I may have gone a little overboard with the balls of cookie dough but they are so delicious everyone in my family did not complain about them being a little on the bigger side. I believe the word used to describe them was scrumpdillyicious. This recipe made 16 sandwich cookies. You could double the recipe if you want more cookies, or make them a little smaller than I did. These cookies would also be good without the filling - kind of like a coconut shortbread cookie. They certainly gave me a taste of home, without having to travel thousands of miles :) Of course you could use any flavor jam that you like, but the blackberry jam I made is super-easy and it is a small batch so there is enough for the cookies, and a little leftover for toast in the morning. 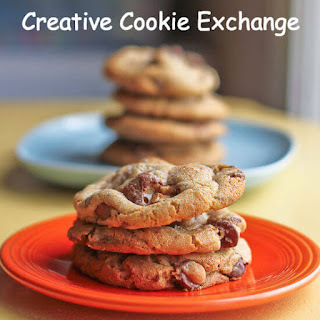 If you would like to know more about #CreativeCookieExchange and see what the other bakers made for the Celebrating the End of Summer Vacation theme please scroll down below the recipe. 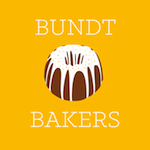 Thanks to Laura from The Spiced Life, who is our host, fearless leader, and Renee from Magnolia Days for doing the links this month - much appreciated! In the bowl of a stand mixer, beat the butter, sugar, and vanilla until very light and creamy. Fold in combined flours and coconut. Take a tablespoonful of the cookie mix and roll into a ball. Place on a baking tray a few inches apart and using a fork, gently make indentations on the top of each ball. Bake for 12-15 mins, until lightly golden. Remove cookies from the oven and allow to firm up on trays for 5 mins. Beat butter, sugar, and vanilla together until light and fluffy. Add enough milk to make a smooth consistency. Refrigerate until ready to use. Pair up biscuits with matching sizes. Spread jam on one biscuit of each pair. Pipe or spread cream mixture on other biscuit of pair. Sandwich pairs together and allow to set. In a medium sized pan, stir together the blackberries and sugar. Bring to a simmer over medium heat, and cook for 5 minutes, until the blackberries release their juices. Strain the blackberries over a large bowl and pour the liquid back into the saucepan. Set aside the cooked berries. Add the apple quarters to the liquid and bring it to a boil, then lower heat slightly so the mixture does not burn. Cook until the liquid has reduced, about 10-15 minutes (If you have a candy thermometer, you want to the mixture to reach 220℉). 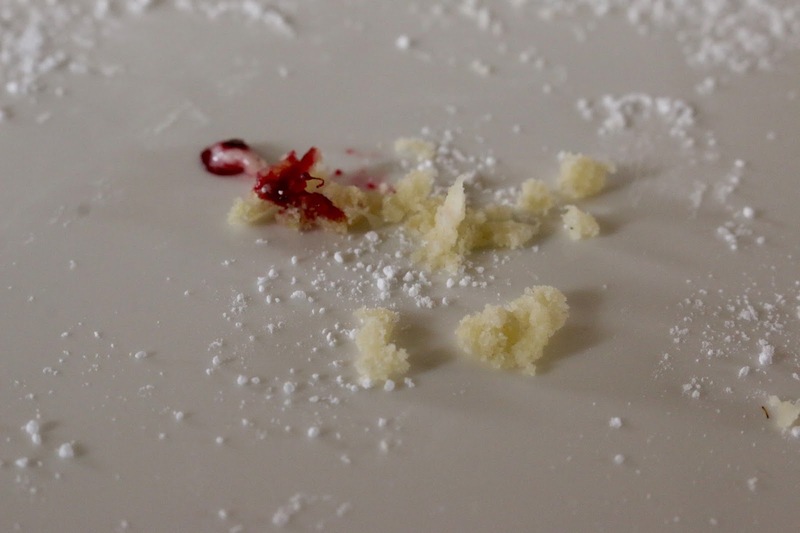 When the liquid has reduced, remove the apple slices (and eat them), strain out any seeds, and return the berries to the saucepan, along with the lemon juice. Bring to a simmer and cook for an additional 5 minutes. A mouthful of these cookies is a great thing! I love blackberry too. 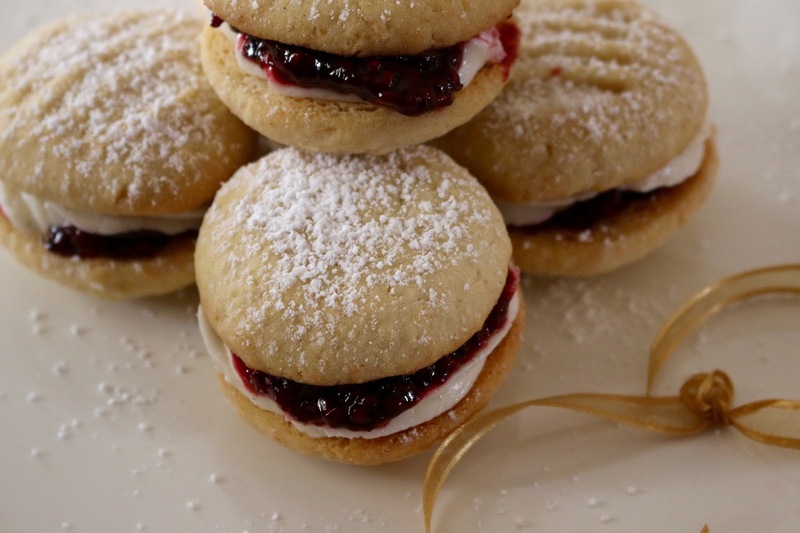 Blackberries are one my favorites and these cookie are the perfect showcase for them. 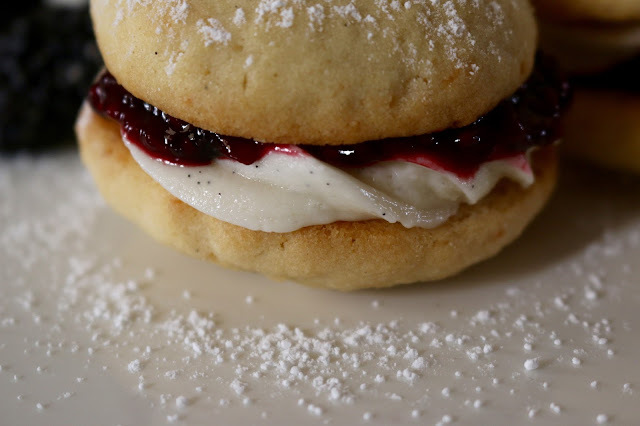 I've got some blackberry jam in the fridge right now and I definitely hear these cookies call my name. Your cookies came out looking great and super delicious. 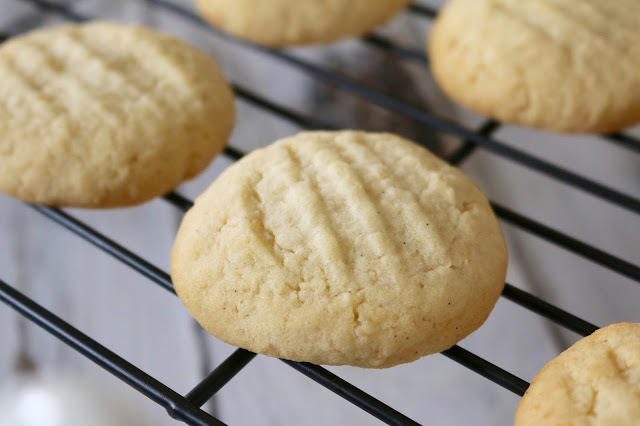 I love the fact that you used vanilla bean paste in them - bet they are scrumdiddlyumptious! You made your own jam too? Wow! I love your take on the theme, remembering back to growing up "down under." lovely cookies, perfect to have with a cup of tea! This cookie absolutely screams Summer! They absolutely look delicious! You had me at the name ! The cookies look delicious !!! These are so lovely and the flavor combination sounds so yummy! These look so yummy Felice, love that jammy filling.